Fluebay is an online trading division of Excel Imports Ltd, who supply quality chimney liners and relining kits throughout the UK and Ireland. As one of the largest stove retailers in Ireland we also supply multifuel stoves, electric stoves, gas stoves and more. You can view our full range of stoves at www.mylovelystove.com. 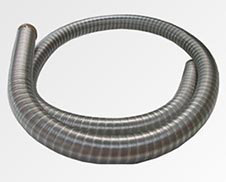 Why Use Flexible Flue Liners? 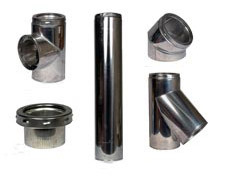 We can supply pre-cut flue liner lengths or specific lengths for those with particular requirements. 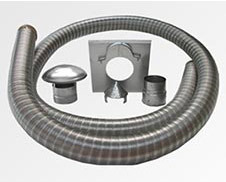 If you wish to purchase a complete flue lining kit to fit your stove, the necessary fittings will be included in the package. 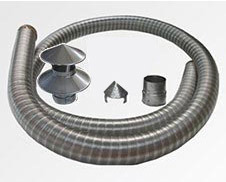 We can also cater to chimney relining kits for open fires. 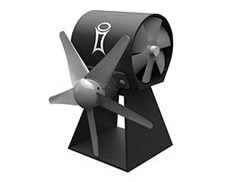 Our products are manufactured to BSES 150 9001 and tested to the EN1856 European Standard. Guaranteed for 10 years upon correct installation, our flue liners will last even longer if the correct fuels are used and the chimney is swept on an annual basis. 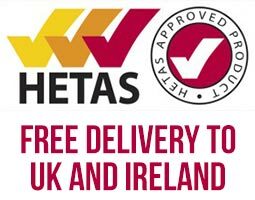 We don’t just supply chimney liners at trade price we also offer free delivery within Ireland and the UK. With all your enquiries, please call (048) 8675 8628 from the ROI or (028) 8675 8628 from the UK. 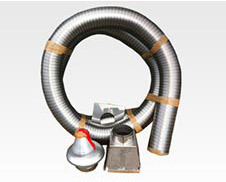 Why Install A Flue Liner?